On my machine, this code simply generates an empty form with Rad Studio 2010…? I’m a newbie to C++ builder, but afaict none of the openGL code is called — or is it necessary to add something? Did you install my OpenGL component ? 1. declaring TOpenGLAPPanel pointers in the “_published” area of the respective headers raises an objection that no such component can be found even though, a dialog allows us to ignore the error, and the project still builds ok. This error disappears (?) if we place the declaration in the ‘User area’. Or at least the dialog does. 2. 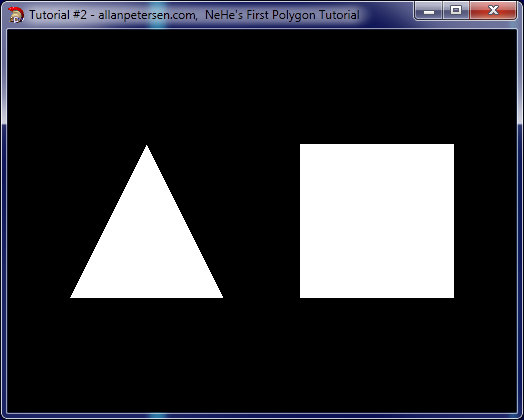 If I step through in the debug version, or add stop points, I seem to be seeing that the openGL code is unreachable. I assume that there is some C-builder ‘magic’ happening behind the scenes with USEFORM that should be calling the openGL stuff. If you can point me in the right direction for what should be happening here, that would be much appreciated. Otherwise, it’s still a mystery to me how any of the openGL is called, or, more importantly, how it might be subsequently debugged. I also see that someone else (Eshun) seems to have suffered this problem with the text/clock example. I tried running both examples as admin and didn’t see any difference. Also, as I reported above, the precompiled examples work fine. A colleague has just explained what you probably meant by “install” ie through the Component > Install Packages menu item(s). Removing “OpenGLAP” via this menu and reinstalling it seems to have fixed my original problem, but oddly, does not make any difference for these examples. Also, I still fail to see how the openGL stuff is being called (and debug breakpoints are not being reached), though I guess now that the details are tucked away inside the component/package files…? Glad to hear you managed to work it out. It is not very well documented and requires to have knowledge of how vcl components work.